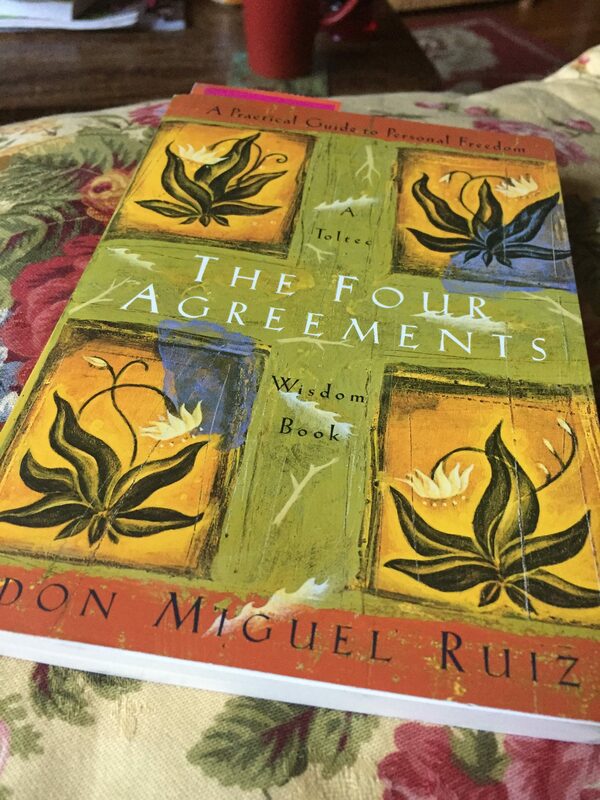 Have you read The Four Agreements by Don Miguel Ruiz? I just finished my second read – I often re-read books in different periods of my life and find when I do, there is a reason. This has been (and is still) a year of embracing change. It’s a year of as many endings as beginnings, of tears of happiness and fear of the unknown. Change is hard for me, despite how much I tell myself to embrace and enjoy and find the silver lining. And it’s not just with my children graduating and moving on to new stages of their lives. 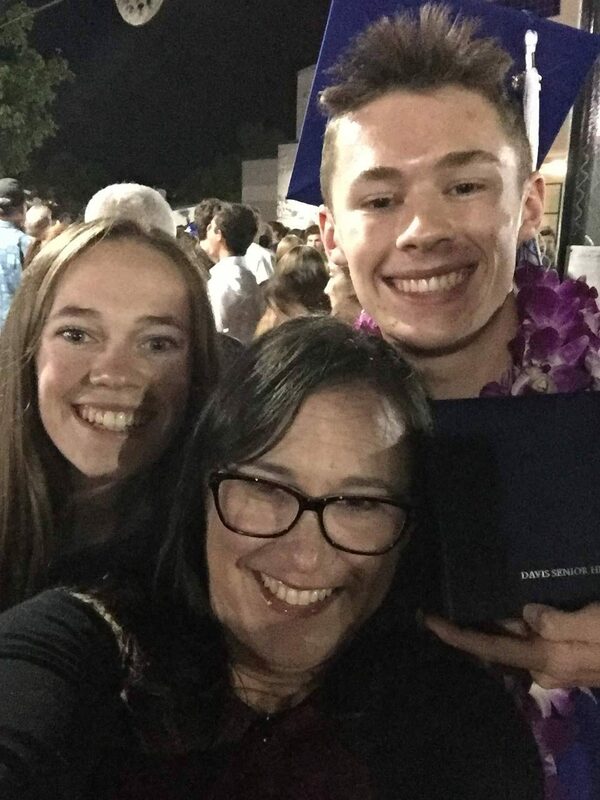 It’s not just me shifting from full-time mom to an empty-nester wondering how I’ll fill the afternoons and evenings without having a child wandering in and out of the house. Part of is a shift in me – of stepping into a new phase of life where I’m feeling the gratitude of launching my children into the world, and feeling the thunder of a new shift happening in my career. I don’t know what it is quite yet, but I do know the Universe is rumbling and gearing up, the earth beneath me is beginning to vibrate with possibilities I haven’t imagined until now. I first read The Four Agreements years ago – I’m not entirely sure why I picked it up for the first time. Maybe it was one of those titles I’d heard about and figured I should read, for cultural literacy’s sake. It made an impression but never was a guiding force. It surfaced again last month, finding its way to my bedside table and into my lap for morning reading. I took it a chapter at a time, slowly digesting the lessons and realizing I had been wrong – the four agreements really were guiding me, I just hadn’t been paying enough attention. The Universe has a funny way of placing just what we need in our path. I’d been re-reading notes jotted down months ago while listening to Ali MacGraw’s Super Soul Sunday podcast (you can listen to it here) – after my first listen, I’d written about finding my true self, but now, thinking about her stories and Don Miguel Ruiz’s four agreements made sense in such a different way. Makes perfect sense, right? Or is it a case of ‘easier-said-than-done’? In my teaching life and my personal life, these four agreements are there every day, intertwined with spirituality, kindness, compassion, and non-judgment. Trying to remember that connecting with those in my presence is where I find the deepest joy, and that really, our pain is all the same. Being impeccable with my word means pausing, thinking, and honoring the power of language. Words CAN hurt, but they can also soothe, comfort, warm and empower us. Being impeccable with my word means honoring the time when being silent is stronger than yelling, and when breaking my silence requires courage. Not taking anything personally is hard. Teachers tend to take everything personally. It’s a profession where many, many people think because they went to school, they can tell me (and other educators) how it should be done. These types of comments force me to remember it’s not me – it’s them. If I take it personally then I am ‘eating their emotional garbage’, and allowing their beliefs to impact my own ability to life MY authentic life. Ruiz reminds us that making assumptions leads us to believe an often false truth, all because we don’t have the courage to question. Finding our own voice, realizing that not everyone in the world thinks as we do, and breaking bad habits with clear communication puts us on the path to personal freedom. Always do your best – in my teaching world, kids feel pressure to BE the best. But that’s infinitely different than DOING your best. I struggle with helping kids realize that when you feel you’ve done your best, that’s good enough. Compete against yourself, not others. Go YOUR extra mile, and then rest. It’s not an easy concept. The last words I say to my son as he leaves each morning? “Do your best” and “I love you”. I feel as if it’s my best gift I can offer as he ventures out into his day; Ihope when he’s not at home next year, those two phrases echo in his mind as he learns how to make his way on his own. I won’t be able to connect with him every day – I won’t even hear from him every week, I’m sure. But hopefully, if I’ve done something right, the four agreements have been absorbed into his being the way they have in mine. Do yourself a favor this week – grab a copy of this tremendous book, and savor it. Make this post the reason to bring the four agreements into your life – it may just change your life.